Wołyn (Hatred). A film directed by Wojciech Smarzowski, Poland, 2016. A common saying within the ranks of the European Union’s diplomacy in recent years goes: why ask Warsaw for an opinion on Ukrainian issues, if they will say the same thing as Kyiv? Indeed, since the fall of the Iron Curtain, Poland has been known for its strong pro-Ukraine stance. It was the first country to recognise Ukraine’s independence and later – no matter who was in power – it unequivocally supported the country’s European aspirations, the Orange Revolution and EuroMaidan. Therefore, the growing tensions within Polish-Ukrainian relations, exacerbated recently by the premiere of the film Wołyń known as Hatred in English, directed by Wojciech Smarzowski, come as a surprise. As is often the case in this region, the contested issue has been historical memory. 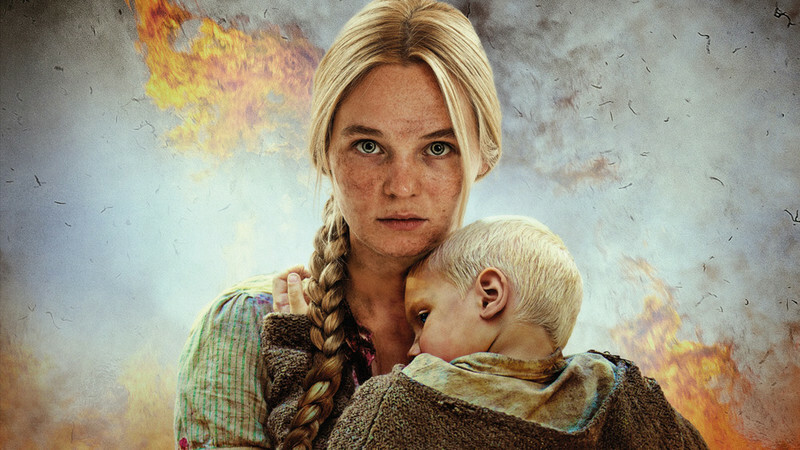 The film is a love story about a Polish girl and a young Ukrainian man in the shadow of the Volhynia (Wołyń in Polish) massacre – the mass murder of Poles by Ukrainians inspired by nationalist ideology and on a smaller scale the retaliation acts committed by Poles – which took place between 1943 and 1944 under Nazi German occupation. The director made sure to show the nuances. There are “good” Ukrainians and “bad” Poles on display, as well as the hybrid identity of the territory’s inhabitants. 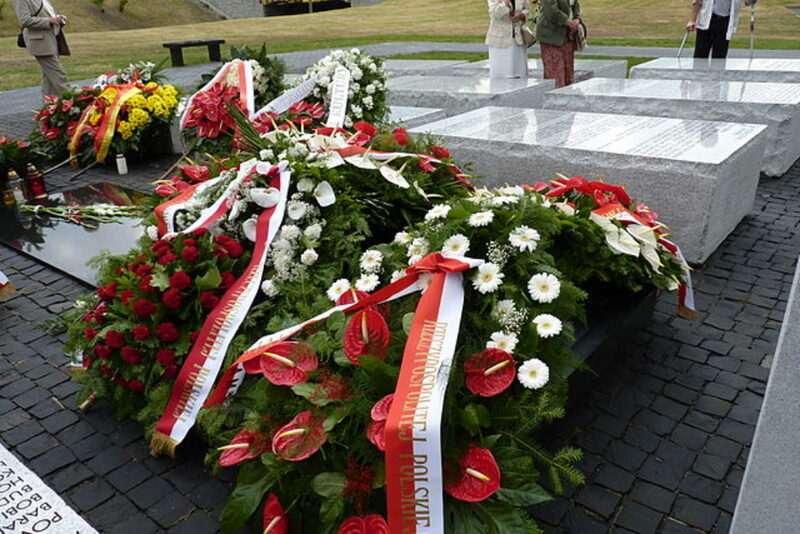 Nevertheless, he put little emphasis on the factors that led to the tragedy, which resulted in some critics saying that he is glorifying martyrdom from the typical Polish point of view. The film elicited critical reactions especially in Ukraine, although few critics actually had a chance to see it. The screening in Kyiv was cancelled by the Ukrainian Ministry of Foreign Affairs due to concerns related to the “security of the viewers” (several months earlier a concert of the Ukrainian band Ot Vinta was cancelled in Poland for similar reasons). By refusing to release screeners for journalists, which is a common practice in Poland, the distributor did not make it any easier. One can only guess that it has been related to the strategy of “holding pro-Russian journalists at bay”, as the distributor explained to the media. Surprisingly enough, the strategy has been effective – the film cannot be found in illegal distribution either. The attractiveness of the film for the Russian propaganda machine is one of the main accusations coming from Ukrainians. 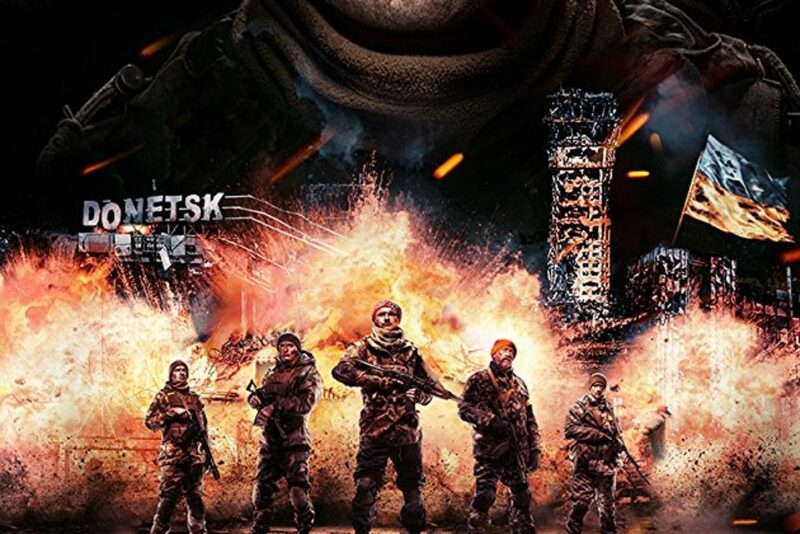 A film showing Ukrainians as bloodthirsty fascists will surely work in favour of Moscow’s view of the ongoing conflict in Ukraine and it will reinforce crude stereotypes which are also present in the European media discourse. However, as Smarzowski concluded, “there will never be a good moment” to screen this film. Controversies have also been aroused in relation to the historical inaccuracies found in the film (in one scene murder weapons are being blessed by a Greek-Catholic priest) and that it solidifies Polish stereotypes about Ukrainians by portraying them as cruel and sadistic peasants. Moreover, it is not difficult to find in Wołyń the post-colonial fantasy of Kresy – the Polish historical narrative of the multi-cultural, supposedly idyllic, eastern frontiers of the Rzeczpospolita, a territory (together with Volhynia) that was incorporated into the Soviet Union after 1945. For Ukrainians Kresy is the history of Polish colonialism: centuries-long ethnic and class discrimination (the Ruthenians were above all peasants, subject to Polish or Polonised nobility) and after the 19th century skids put under the nationalist and minority rights movements. Such subplots are only marginally mentioned but they could have equally been omitted. The Polish premiere of Wołyń also fomented a huge discussion. Conservative critics sympathising with the Law and Justice (PiS) government received the film with enthusiasm. Taking up the topic of the Volhynia massacre falls into the right-wing passion of martyrological interpretations of Polish history. The pro-Ukrainian right has stressed, quite rightly, that mutual understanding requires discussion even on the most difficult of topics. For the far-right, however, Wołyń is proof of the “constant enmity” between Poles and Ukrainians. Unfortunately, these voices have helped fuel growing xenophobic attitudes in Poland towards the increasingly numerous Ukrainian diaspora. It is worth stressing that it would be hard to accuse Wojciech Smarzowski and his film crew of nationalist sympathies. Smarzowski is one of the most interesting contemporary Polish directors. He is a tireless critic of Polish hypocrisy, greed and dishonesty. He is the author of socially critical films and a star of the liberal media. For this reason, the sudden sympathy that Smarzowski recently enjoyed among the pro-government circles has come as a bit of a surprise. The director himself has called the film a bridge leading to reconciliation. However, the viewer, fatigued with the bloodbath, may find it difficult to believe. He also publically declared that he opposes the use of the film for the purpose of political conflict. Thus, he refused to accept a high financial prize that Jacek Kurski, the director of the government-controlled public television, wanted to grant him. The left-wing and liberal critics in Poland partly share the reservations of the Ukrainians. What is more, they have noted that in their struggle against the dark pages of history, Poles should rather begin with themselves. Discrimination and a number of atrocities against national minorities is something few students will learn about in Polish schools. At the same time, events which are impossible to omit from history (e.g. the antisemitic campaign of 1968) are interpreted in Poland solely as the work of the communist government. A public debate on the darker aspects of Polish history initiated in the last decade most likely will not continue in the current political climate. Interestingly, some critics see Wołyń not as an anti-Ukrainian film, but an anti-nationalist film and a tribute to the victims of the bloody history of Eastern Europe. Apart from the massacre, the film also shows – in the background – the Polish revenge against the Ukrainians, the German hunt for Jews and the cruelty of the Red Army. It is also worth noting that the main female protagonist, goodhearted in an exaggerated way, has a fluid Polish-Ukrainian identity and the nationality of the victims she helps – Jewish, Polish, Ukrainians – is the last thing she is interested in. Smarzowski is known to the Polish viewers as a director picturing Hannah Arendt’s banality of evil in a cruel way. Although the majority of his films are deeply rooted in a Polish context, they can be also viewed as universal portraits of people who end up in the moral gutter, stories of such evil that it is impossible to justify. In the case of Wołyń,Smarzowski decided to introduce more nuances to the movie to prevent its anti-Ukrainian instrumentalisation. But as we have seen, the film can be instrumentalised as one wishes. For the debate about the film, the work itself is only a tool. The main topics are Polish-Ukrainian relations and these are clearly deteriorating. Although on the rhetorical level the PiS government remains pro-Ukrainian, this has translated less into active work in support of Ukraine. And yet for Ukraine, the Polish government, with its deepening conflict with the European Union, is a decreasingly credible partner. The bone of contention remains the attitude towards the Ukrainian Insurgent Army (UPA). From Poland’s perspective they were above all bands collaborating with Hitler and responsible for the Volhynia massacre. From Ukraine’s perspective, they were insurgents fighting to free the Ukrainian nation from Polish and Soviet rule – heroes who set the example for Ukrainian soldiers who are now fighting in the country’s east. Both sides remain blind to the other perspective. Yet the common belief in Poland that Volhynia is a taboo topic in Ukraine is untrue. The event has been researched by Ukrainian historians and on the bilateral level a number of symbolic gestures were made, such as the tribute paid to the victims by Ukraine’s president in July 2016. Nonetheless, the general level of knowledge about the Volhynia massacre is limited, which has been largely the result of Soviet historical policy. Unfortunately, it seems that Wołyń will largely become fuel for anti-Ukrainian xenophobia, which used to be marginal but is now ever more present on the streets. At the same time, it would be difficult to expect Poles, who have heard about the events of Volhynia from family stories during communism, to ignore the increasing glorification of UPA within the Ukrainian historical narrative. For Ukrainians, unfortunately it is not the best moment for the thorough settlement with the mistakes of the past, and it does not seem that such a moment will come in the foreseeable future. Moreover, Poles have never proved that they could be the example to follow in this regard.